3 Awesome Linux Games At Giveaway Price of $4.95! 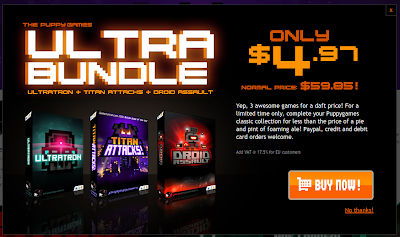 Puppy games brings to you awesome Ultra Bundle offer. 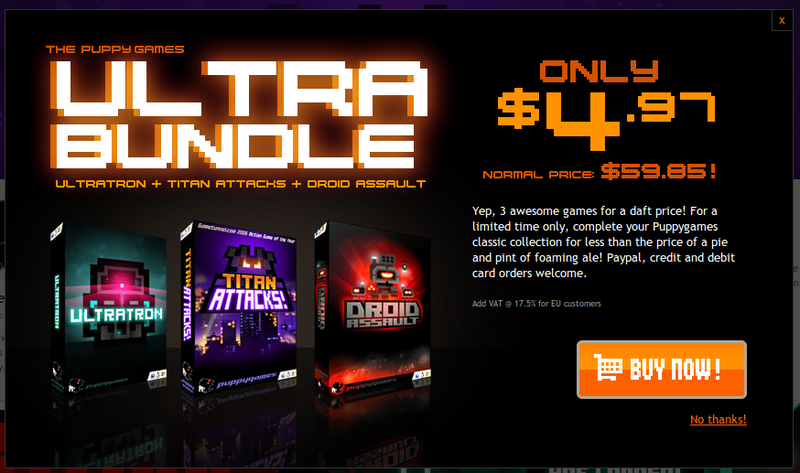 You get to buy Ultratron, Titan Attacks and Droid Assuault games at a give away price of $4.95 only! Discover a unique tactical arcade shooter, with the fun addictive gameplay of classics like Paradroid and Quazatron. Original price of the 3 games together is $59.85, but now you can get them for only $4.97. Visit puppy games website and grab your Ultrabundle copy today! Thanks to LinApp for letting us know. LinApp constitutes perhaps the most comprehensive collection of commercial Linux applications ever.